Beginning with a small group of Postal Workers in 2001, the Workers' Resource Centre has taken the initial spark of an idea and expanded it to the Province-wide agency that it has become today. In May of 2001, members of the Canadian Union of Postal Workers (CUPW) approached the Calgary and District Labour Council (CDLC) with the idea of forming a workers' resource centre. The CDLC passed a motion to help secure the funding for a feasibility study. Joan Thompson of CUPW and Gordon Christie of the CDLC wrote proposals and obtained funding from the City of Calgary’s Family and Community Support Services for the study, which was undertaken by a team of independent consultants from Plan:Net Limited. The feasibility study concluded that Calgary did indeed need a workers’ resource centre. Since Alberta has the lowest rates of unionization in Canada (13% for the private sector at the time of the study), a vast majority of workers, especially those from marginalized segments of society, were falling through the cracks in the absence of an organization that could represent them and advocate on their behalf in their dealings with Alberta Employment Standards, Employment Insurance, the Alberta Human Rights Commission, and the Canada Pension Plan (disability benefits). With support from The Calgary Foundation, the United Way of Calgary and Area and the Calgary Catholic Immigration Society, Joan Thompson and Gordon Christie of the CDLC were able to coordinate a steering committee, and eventually brought on consultant Catherine Schissel to develop a strategic plan to create the Calgary Workers’ Resource Centre (CWRC). Initial funding came from the United Way of Calgary and Area and the United Nurses of Alberta. The CWRC's first program manager was hired in November 2003, helped the steering committee find an office, and established the Centre's programs and services.l The CWRC's first case worker was hired in March, 2004, and on May 6 of that year, the CWRC held its grand opening at their fully accessible downtown offices. The Alberta Workers' Health Centre (AWHC) acted as the CWRC's fiscal agent until the organization achieved charitable status in 2006. In 2006, the Centre moved to West Hillhurst and expanded its operations by securing a three year funding contract with the United Way. The Alberta Law Foundation (ALF) approved funds for a part-time outreach worker as part of a two-year project (with co-funding for the position provided by the United Way of Calgary and Area), and Calgary Learns provided a grant to translate workshops in plain language. Seeing the success of the two-year outreach project and the growing demand for workshops on employment-related rights and benefits, the ALF agreed to fund the CWRC's Public Legal Education program on a pilot basis in 2009. The program, which provides free public education workshops at no charge to Calgarians--and primarily to members of vulnerable populations--has continued to experience growth in demand year over year, and was co-funded by the ALF and Calgary Learns until 2012 and has been solely funded by ALF since. In 2014 the Centre moved to it's MacLeod Trail Location. The United Way of Calgary and Area has provided the CWRC's core funding since 2004, including funding for the organization's Case Work program, which has helped thousands of individual workers in the Calgary understand and access their employment-related rights and benefits. Our services have been especially critical during the boom of 2006-2008, a time when many workers sought the CWRC's help to recover unpaid earnings, and during the recession of 2009-2011 as record numbers of workers became unemployed and sought the organization's help with Employment Insurance claims and appeals. While each year from 2004-2009 saw an increase in the number of individuals contacting the CWRC for information and support (to a record high of 827 in 2009), the proportion of clients that Temporary Foreign Workers constituted also grew from 3.5% in 2007, to 7% in 2008, and to 15% in 2009--even though they accounted for approximately 1% of Calgary's work force. In 2009, the number of EI appeals the CWRC assisted with increased by 360% over 2008. In late 2008 the CWRC was able to hire a second full-time case worker to cope with the rising tide of workers needing assistance. Demand for help with EI claims and appeals has remained high since 2009. Since 2006, the CWRC has helped its clients become entitled to more than $16 million (in EI, WCB, and short/long term and CPP disability benefits, unpaid earnings via Employment Standards complaints or requests for payment sent directly to employers, and awards from human rights complaints). The CWRC's success in particular with EI claims and appeals has potentially saved the Government of Alberta millions of dollars (each dollar paid through the EI system is potentially one less dollar paid through Alberta Works income support payments). In 2016, The Calgary Workers' Resource Centre (CWRC) changed to become the Workers’ Resource Centre (WRC) to reflect the expansion of the Case Work Program services to workers province-wide. This was to address the need for workers across Alberta who require support and advocacy with employment-related issues. Clients outside Calgary or those who are unable to attend in-person meetings will now have the option to access the WRC’s Case Workers through remote services such as FaceTime and Skype.  The WRC also has a toll-free number - 1–844-425-7972 (HELPWRC) - for workers outside of Calgary to call the Centre at no personal charge.